Susan K. Perry, Ph.D., is a social psychologist with expertise in relationships, and author of 1000-plus articles, essays, reviews, and Q&A columns and has been widely quoted as a human development, relationship, and creativity expert. Her non-fiction books include “Writing In Flow” and a number of others, but her latest creation is a novel. In our Q&A interview she talks about the process of writing fiction. You worked on your new novel “Kylie’s Heel” over the course of about ten years, going through “a zillion revisions,” you said. How have you found the process and challenges of creating fiction different than writing a non-fiction book such as your earlier titles “Writing In Flow” and “Loving in Flow”? Susan K. Perry: The processes are so different. For the nonfiction, I researched, gathered notes, wrote, and shaped those books into what I hoped readers would find pleasing, edifying and useful. They were meant to be practical, and that sort of writing has always come naturally to me. After all, I was a bossy kid and, to this day, I enjoy offering advice. For “Kylie’s Heel,” I began with a journal from the year before my nest was going to be empty. I expressed a lot of bereft emotion in its pages, and noted a surprising number of dreams about babies I was having at that time. I thought I might write another nonfiction book about this period of a woman’s life, but I changed my mind. Instead, “Kylie’s Heel” turned into a made-up story about someone who was a little like me, but yet not me. I love the permission I now gave myself to make up people and events, and to respond to them fictionally. Over time, this fictional world has become so familiar to me, that it seems to truly exist “out there,” overlapping my own, rather more ordinary, life. In our earlier interview you spoke of creating in a “busy mind” aspect which “means you’re fragmented, you’re unfocused, distracted, too many things on your mind. You want to get to a place which is both loose, relaxed, and focused.” Have you found your approach to getting both loose and focused has changed over the years, or was notably different creating this novel? 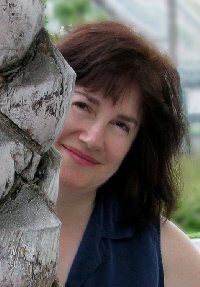 Susan K. Perry: The reason I studied the idea of flow (the balance of loose and focused that allows many writers to be most creative and productive) was that I have always had a very hard time achieving that. Eventually I accepted that I am able to enter flow more when revising than at any other time. And that’s not so unusual for many writers. Getting the initial scenes down is pulling something out of nothing. THEN you can work with it. So what has changed is that I no longer fight my own process. Of course, that “busy mind” aspect is still there, a constant threat. In a post for your Psychology Today blog “Creating in Flow” you commented, “After so many revisions, I’m very pleased that I won’t have to immerse myself in it again.” Do you feel you now can move on to something else, and has writing fiction in this intense way made you want to do more, or return to non-fiction? Susan K. Perry: I never want to return to nonfiction, other than my blogs and love advice column. I do the former as my form of social media and platform-building, and the latter for the small financial reward. I have already gotten partway into a second novel, though getting “Kylie’s Heel” ready for publication (in print and ebook form) and now trying to get the word out about it, has kept me from being able to think much about the newer book. Still, it hovers at the corners of my eye, like a pesky floater that keeps telling me to look at it. I’m looking forward to working on it soon. One reviewer, Gayle Brandeis, commented that Kylie’s Heel is an “affecting novel which explores the gulf that can grow between head and heart.” This is a gulf so many creators struggle with. Has working in a fiction medium changed that struggle for you? Susan K. Perry: For me, head and heart are one and the same. I’m not one to separate out “heart” issues from mind issues. It’s all chemistry, electricity, biology: all that stuff we non-technical types take for granted, all going on at once in our brains. Emotions are informed by the information we take in on all levels, and thoughts and actions are informed by impulses and emotions. What I have my protagonist, Kylie Moran, dealing with is how to find meaning in a meaningless world, a world without supernatural comfort, and how—if it’s even possible–to transcend overwhelming grief and go on living. Psychologist Scott Barry Kaufman, in another review, comments the story “strikes to the very core of some of humanity’s most profound inner conflicts.” Did you set out to address such conflicts through the medium of fiction, or start more with characters and a concrete situation or story? Susan K. Perry: The story got more complex the more I worked on it. I did not know how it was going to end for the longest time. Deeper themes and philosophical conflicts evolved naturally, because, for me, such themes are a part of my everyday life. Why are we here? How should we live? What does it mean to love, and to lose what we love? In an interview on your site about “Writing In Flow” you commented, “Novelists have more fun. Or, to be accurate, those who are open to being their most creative selves have a much pleasanter time than I do when I’m writing an article to a formula, to please some editorial committee, or mainly to pay the bills.” Have you found all that true in writing your novel? Susan K. Perry: I wish I could say it’s all been jolly fun. Maybe if after the tenth revision I’d managed to sell the book quickly, I would look back on it differently. But it’s been hard work to make it as good as I feel it is now. I learned so much during this long process that I’m truly glad I dared to write fiction. Creative Atheist — Views, reviews, and interviews by Susan K. Perry. List of more books by Susan K. Perry.